Dr. Barry Kipperman is board-certified in small animal internal medicine and is staff internist and founder of a 24-hour referral/emergency practice in the San Francisco Bay area. After 26 years in practice, he decided to devote the remainder of his career to animal welfare and ethics. Dr. Kipperman received a masters degree in animal welfare, ethics and law from the University of Edinburgh in 2017, and is pursuing board certification in animal welfare. He teaches veterinary ethics at the University of California at Davis School of Veterinary Medicine and animal welfare and ethics for the University of Missouri. His particular interests include farm animal welfare, the influence of economics on animal welfare and veterinarian well-being, and the ethical dilemmas of veterinarians. Dr. Kipperman has published numerous papers on ethical issues within the veterinary profession. Among the works he has written are two columns published in the HSVMA e-newsletter, "Should Veterinarians Discuss the Cost of Care with Our Clients?," and "Economic Euthanasia: A Disease in Need of Prevention." 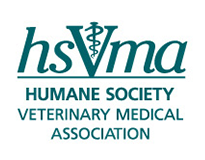 Dr. Kipperman is the Board President of both the Humane Society Veterinary Medical Association and MightyVet, an organization devoted to the wellness of veterinary professionals. He is also a member of the California Veterinary Medical Association's animal welfare committee.